Havells India Limited, India’s leading Fast Moving Electrical Goods (FMEG) Company,has announced its foray into personal grooming segment with the launch of array of high quality personal care product like Electric Shavers, Beard Trimmers, Grooming kit - Precision nose and ear Trimmer, Hair Straighteners & Dryers, Bikini Trimmer. The company also, for the first time in the country, launched baby hair clippers. These exclusively designed products will be available in the price range of Rs 1000- Rs 7200. India has more than 50% population below the age of 25 years and more than 65% below the age of 35 years. It is expected that the average age of an Indian will be 29 years by 2020, compared to 37 years for China and 48 years for Japan. With rising young population, more disposable income and increased focus on personal grooming amongst Indian youth in both urban and rural areas, the category is set to grow at a fast pace. The personal grooming segment in India is currently estimated at Rs 1,500 crore and is growing at a healthy rate of 25%-30% per annum. Developed around the evolving needs of the Indian consumers, Havells personal grooming range is a perfect blend of unique designs and latest technology that comes with hallmark features of Havells products- Style, Safety Durability and Convenience. The products would initially be available in all major cities of the country and over 400 exclusive Havells Galaxies where consumers can touch and feel products. The entire range would be available across the country by end of March, 2017. Apart from this, the company would be selling products through online e-commerce platforms. 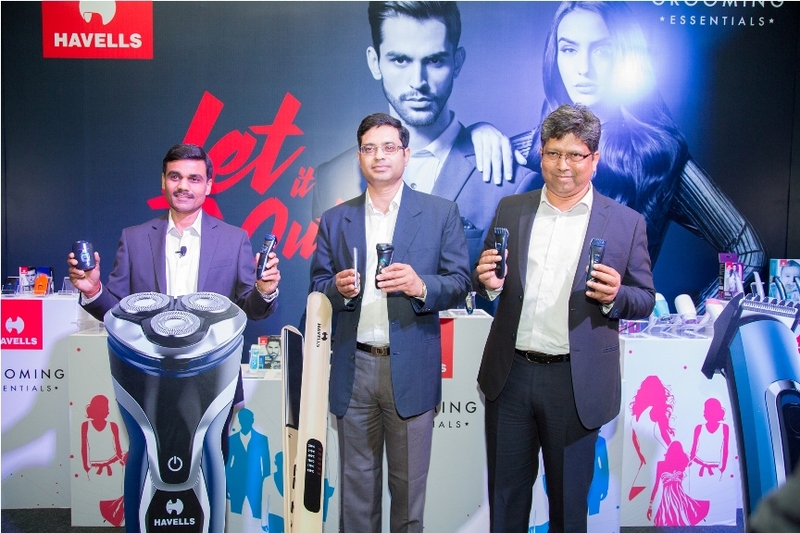 Saurabh Goel, Executive Vice President Havells India Limited said, "Personal grooming as a segment is experiencing swift and dynamic growth largely driven by an expanding middle class and an increased interest in personal grooming. We realized that despite our brand's strong recall and resonance among today's youth, we did not have any specific products for them. The launch of our wide range of contemporary and top quality products under the personal grooming segment will bridge this gap and strengthen our connect with young consumers who are key to this fast growing category." He added, “Apart from our traditional channels we will also expand our network and reach out to cosmetics, departmental and pharma stores where consumers will be able to buy our latest range of grooming products”.